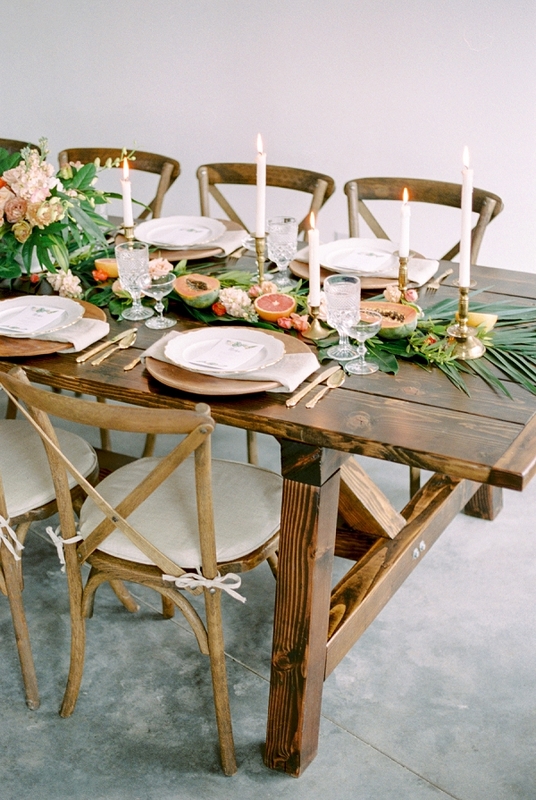 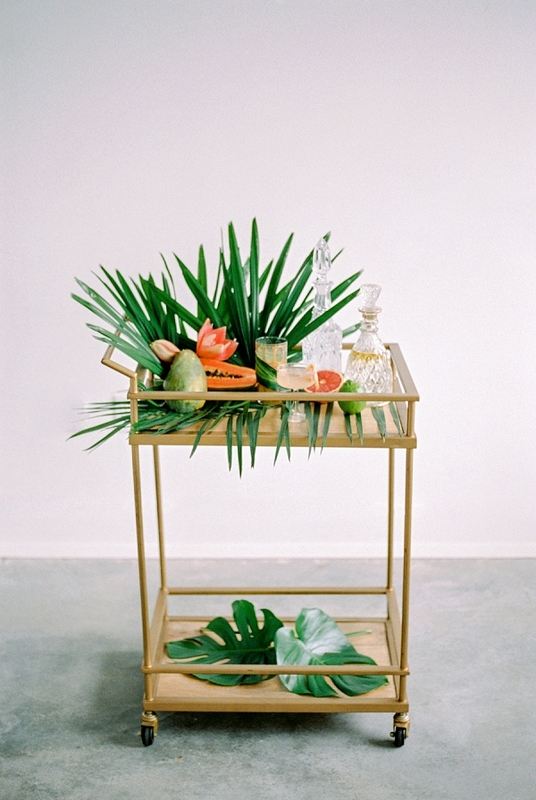 We are always so thrilled to highlight exciting ideas for creating a modern and elegant, tropical wedding experience. 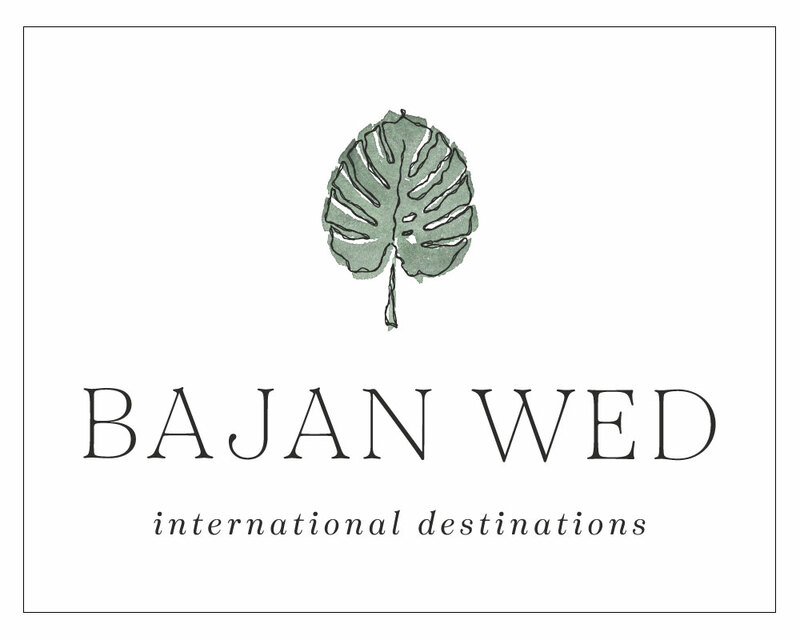 It is one of the very reasons this publication was founded. 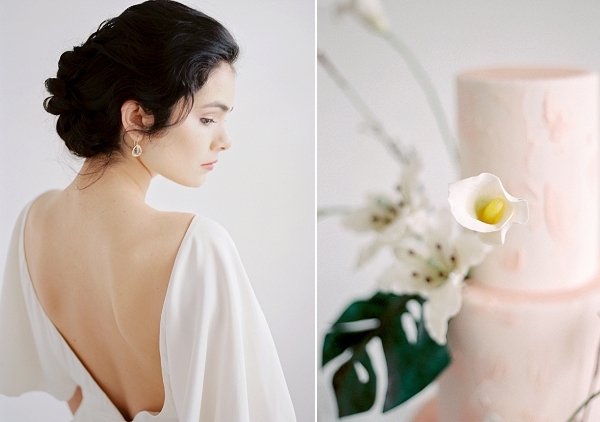 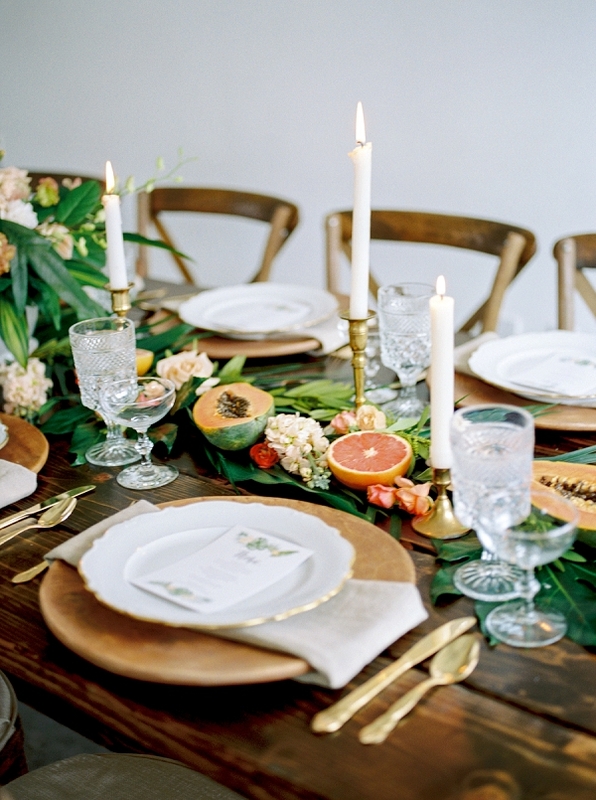 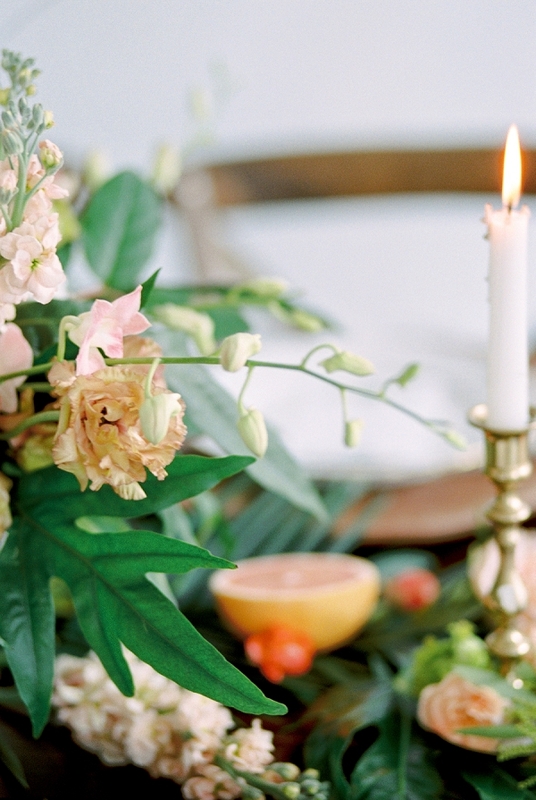 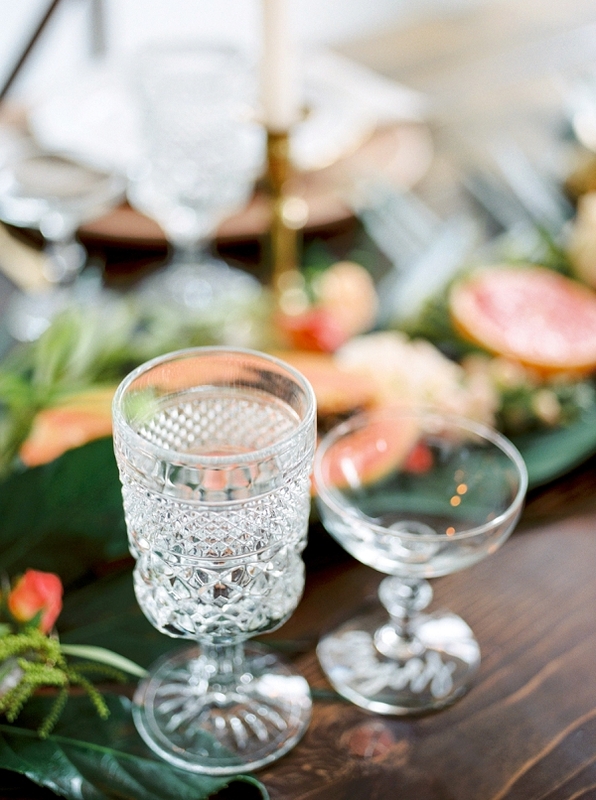 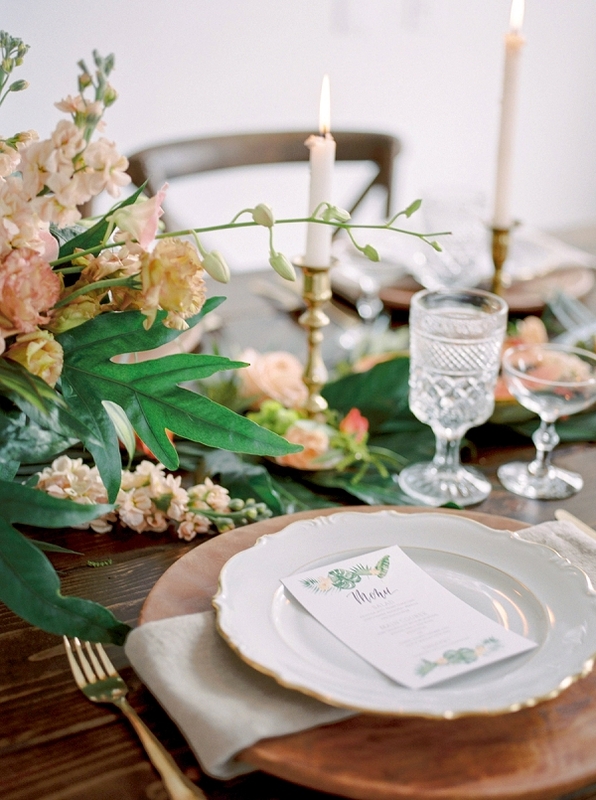 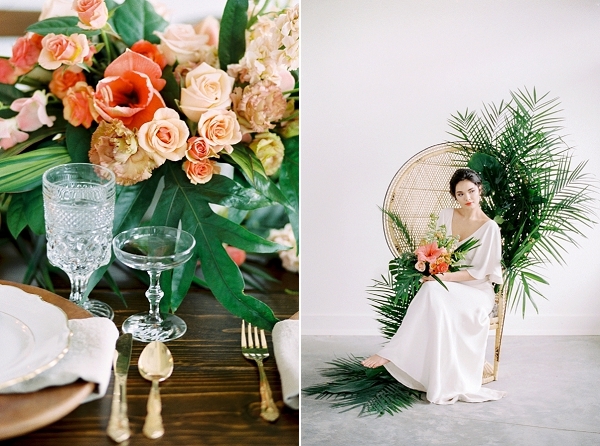 Needless to say, today’s inspiration, courtesy of Kerry Jeanne Photography hits every single mark and then some for us with its glamorous perspective, infused with vibrant accent colours, natural, organic décor and sleek sophistication. 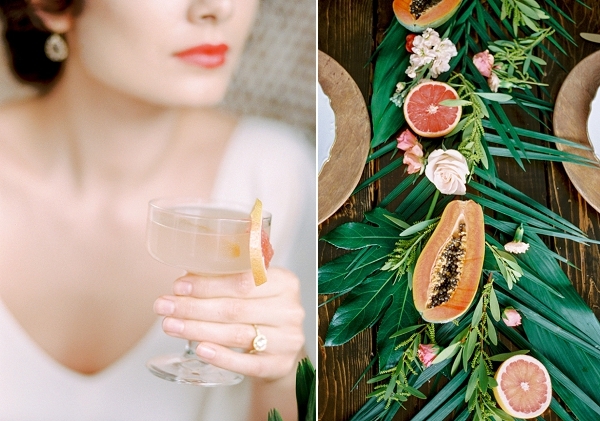 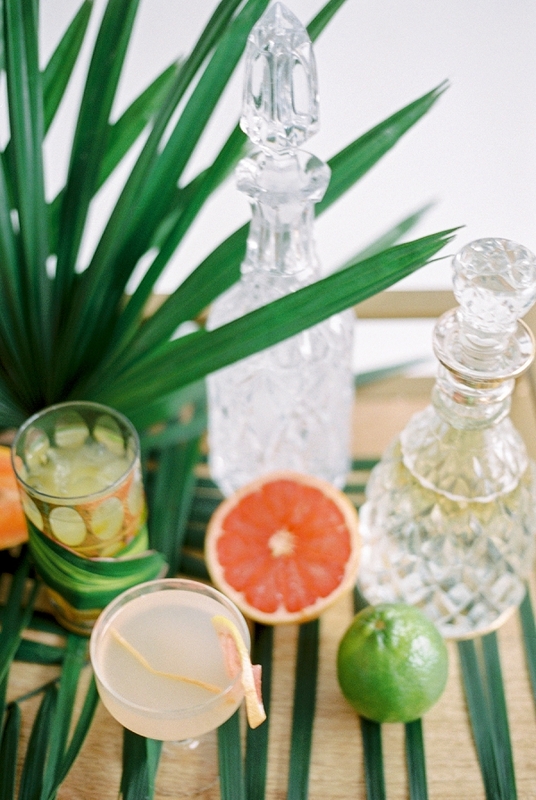 One of the key takeaways we love here is that you don’t actually have to be in a tropical or outdoor setting in order to adapt this type of vision and transport your guests to a lush, fruit-laden paradise with cocktails in hand! 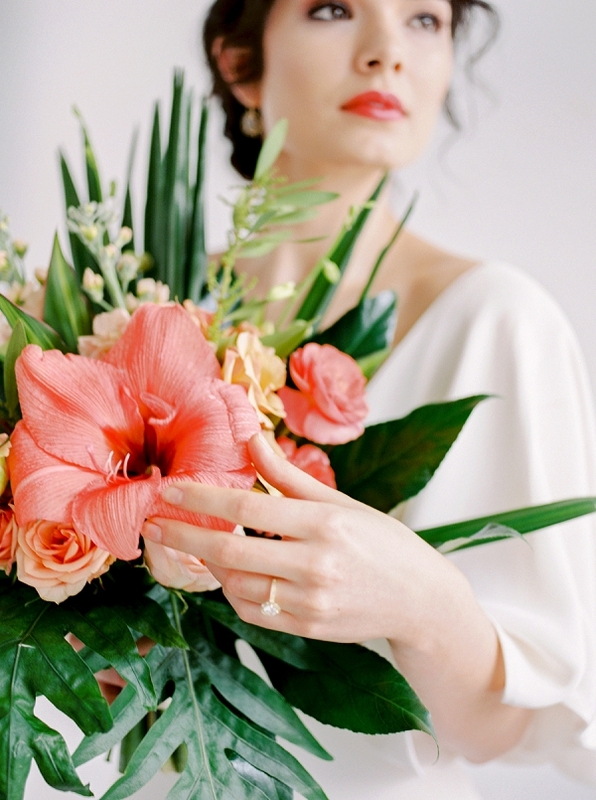 From Julia Pavlovski of Wedding Wise: When Kerry Jeanne Photography and I got together for our third annual Pantone Colour of the Year editorial shoot, we chose an unexpected theme given where we call home. 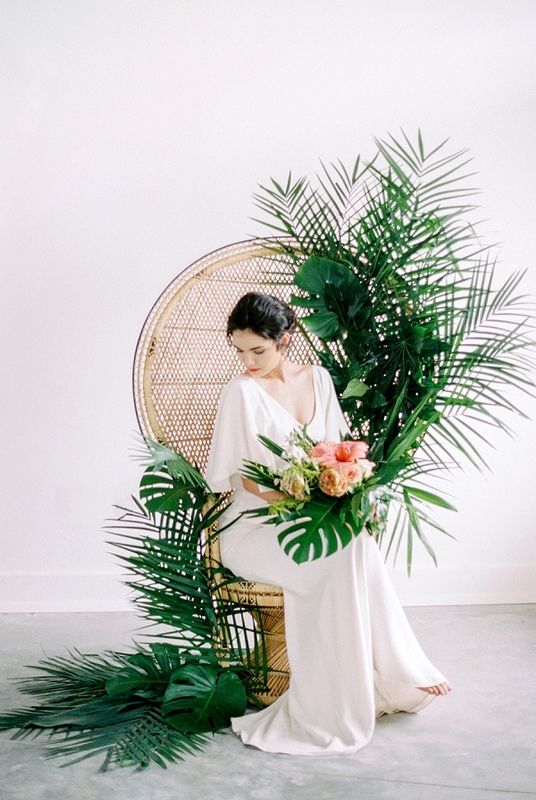 Our team of wedding professionals were very excited to make ‘Tropics in the Pacific Northwest’ come to life in our anything-but-tropical location. 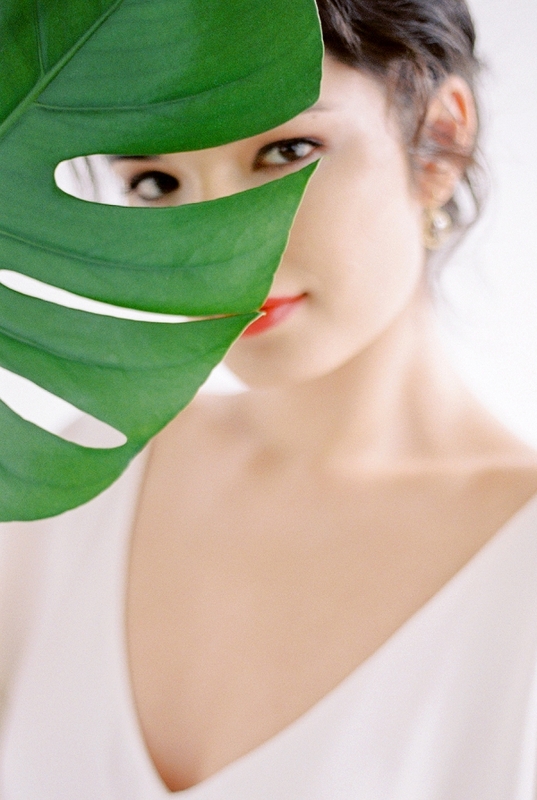 Inspired by the Pantone Colour of 2017, Greenery, we heavily relied on foliage like banana leaves and ferns but did not let our color palette stop there. 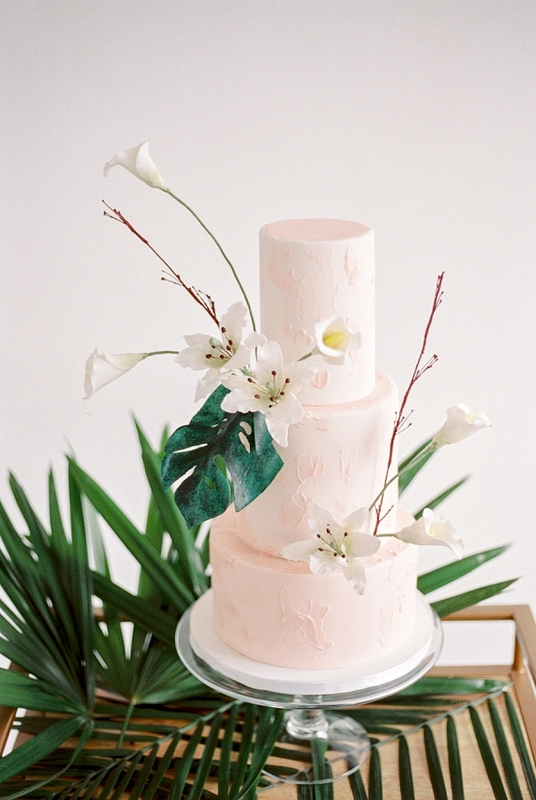 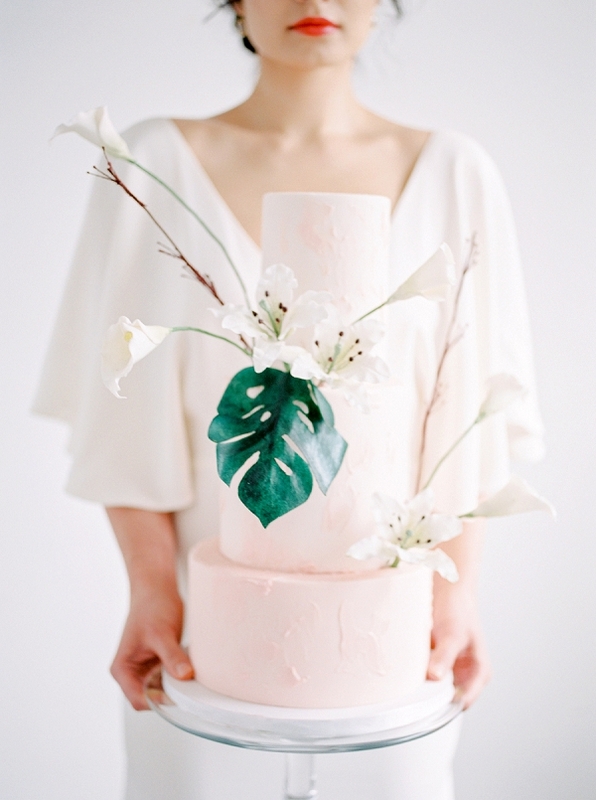 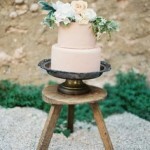 Beautiful coral, orange, and dusty pink tones were used in many design elements from the flowers to the cake and signature cocktails to give an interesting twist on the tropical theme. 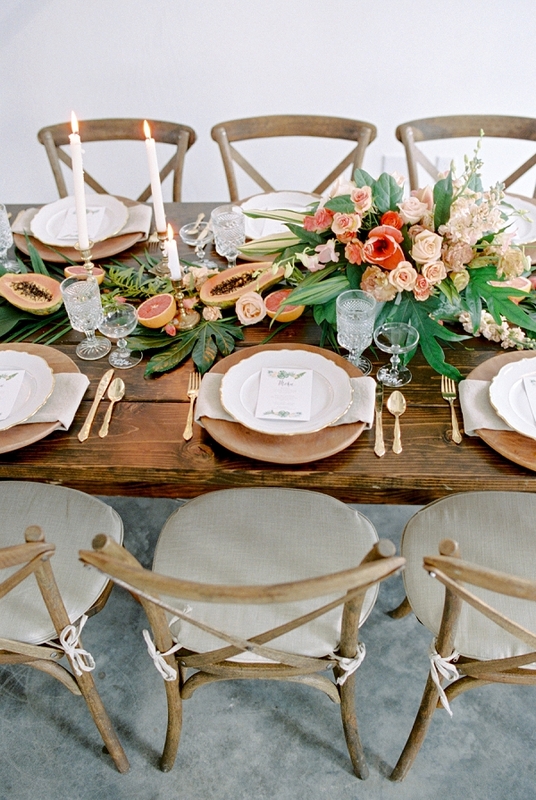 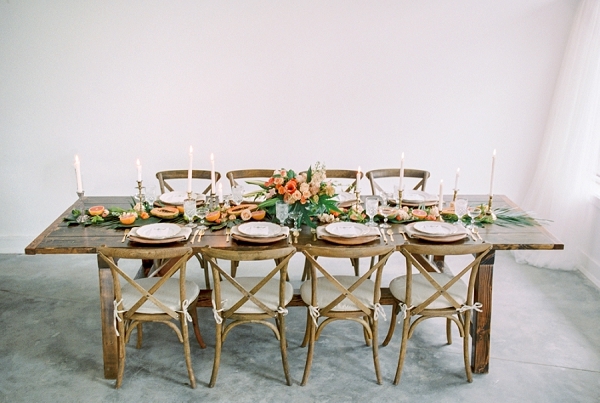 We kept the style organic with beautiful wooden elements in the table design and natural linen napkins. 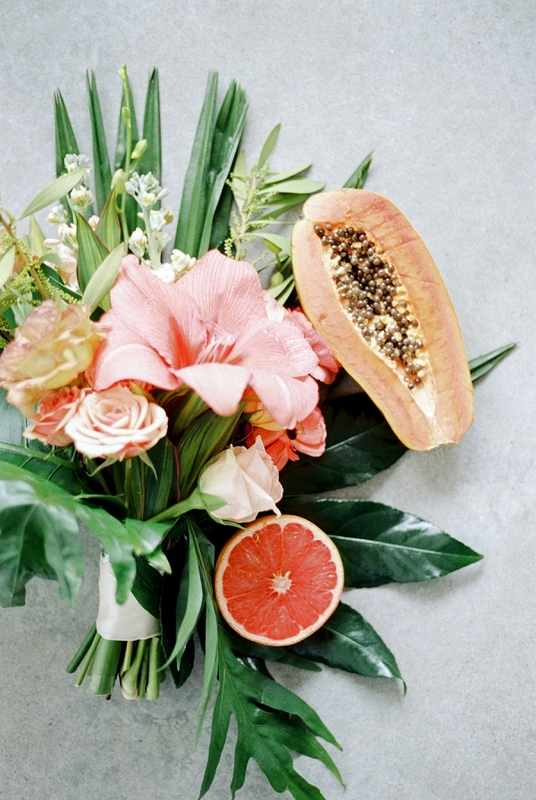 Brightly colored fruit spilled down the reception table in a haphazard way, mimicking the natural ease and flow of tropical life. 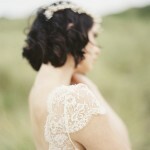 “The bride was styled to look effortlessly chic with a flowing gown from Sarah Seven and loose up-do. 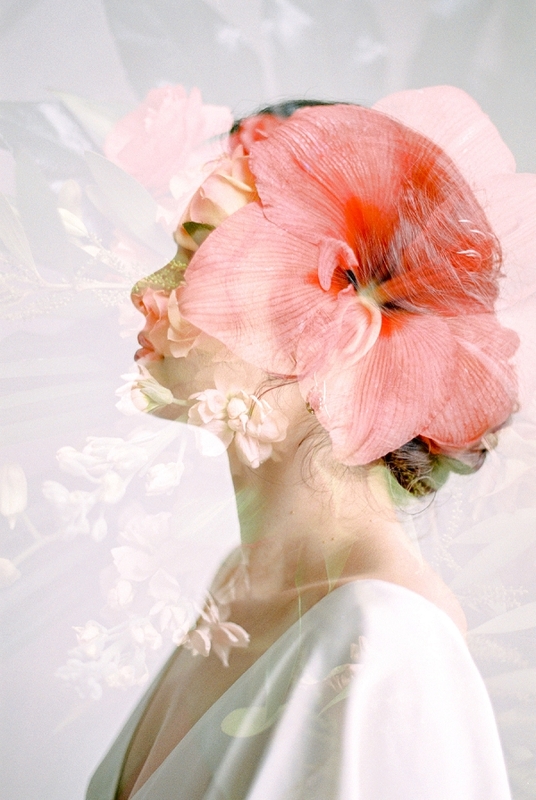 She remained barefoot and carefree. 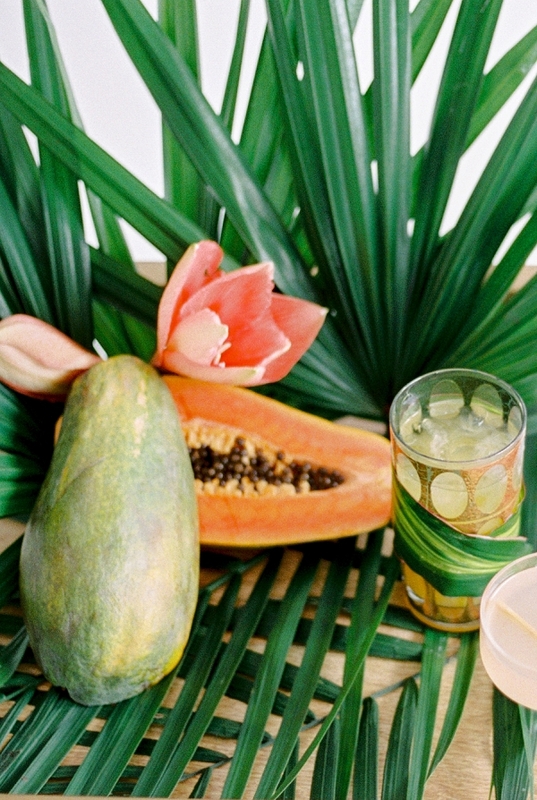 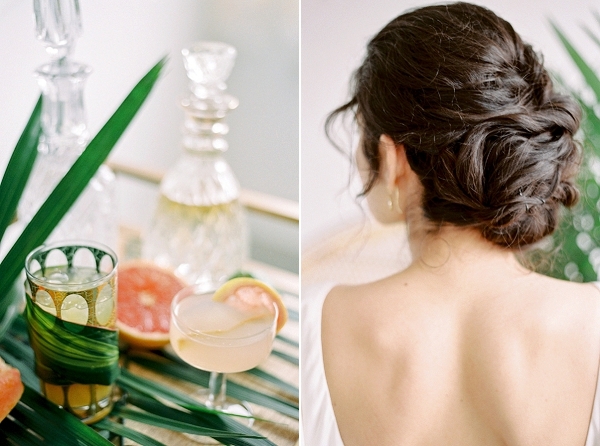 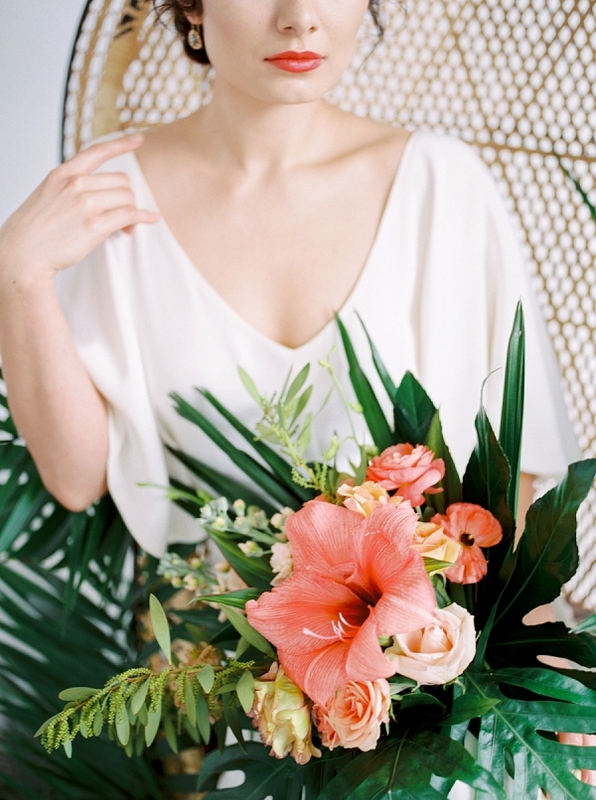 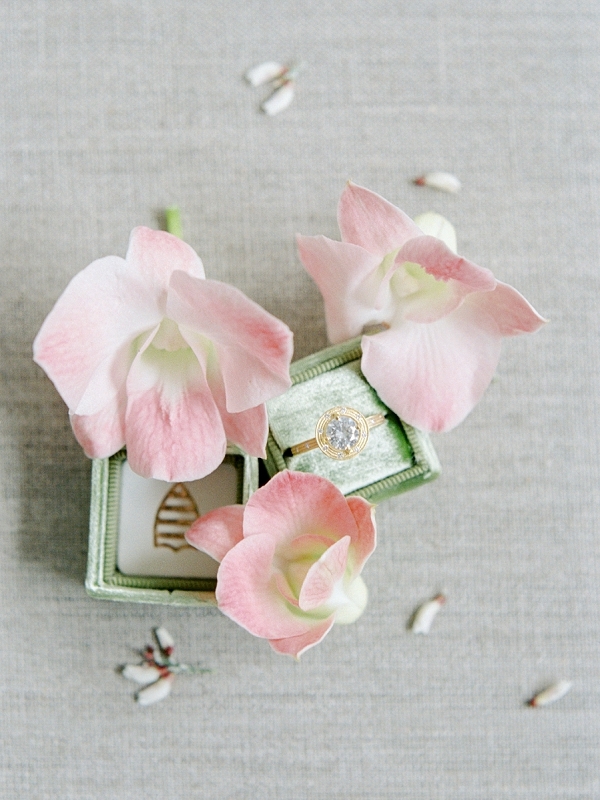 Every aspect of the shoot was carefully considered to match the organic and natural feel of a tropical wedding. 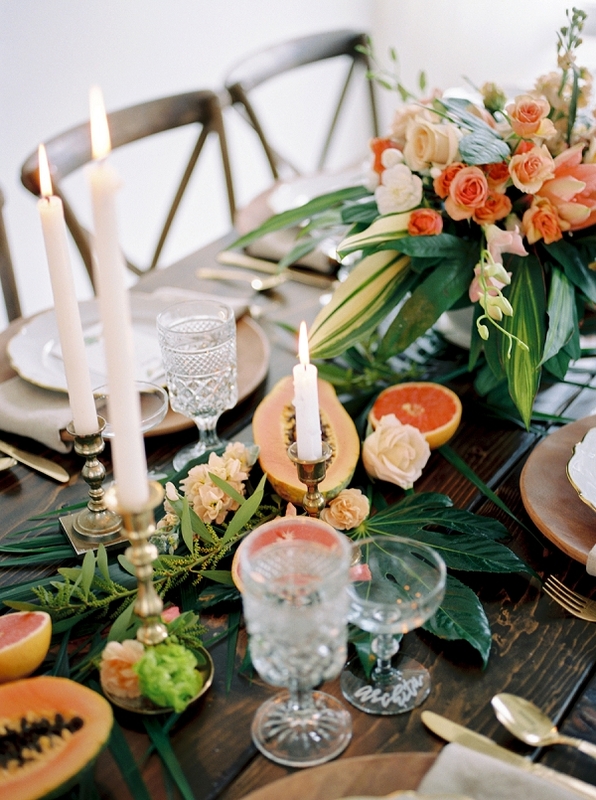 Each member of the vendor team was excited to put this unique spin on a typical northwest style and the result was a beautiful portrayal of the intimate, colorful theme ‘Tropics in the Pacific Northwest’.